THE PERFECT GIFT FOR ATHLETES! Not sure what to get to that special friend? 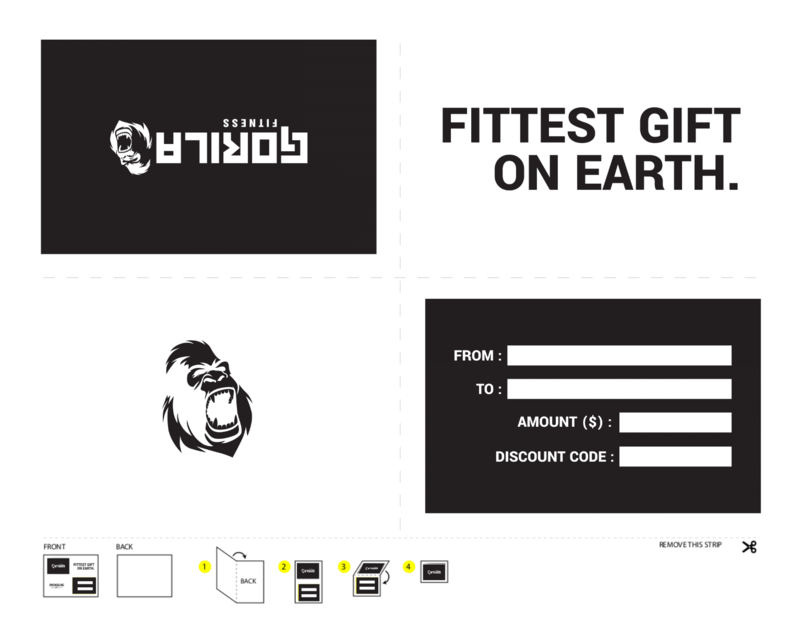 Make no mistake with the Gorila Electronic Gift card! They will be like a kid in the candy store! Download the printable JPG gift certificate template here. Want to give the card in person? Fill out the form below, but make sure you enter your email as the recipient address. Then download the printable JPG gift certificate template and fill it out. Want to send it directly to their email? Fill out the form simply.